Aux cable 3.5mm mini jack to 3.5mm mini jack stereo 5m gold plat - Audio Cable - Headphone Extension Leads AUX Lead Audio Cables, Audio cables jack cable Leads Cables Phono RCA 3.5mm jack aux headphone. 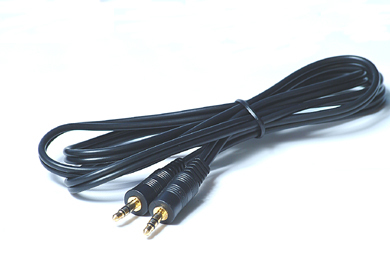 Aux lead, this 3.5mm mini jack plug to 3.5mm mini jack plug lead is 5m long. Ideal for connecting mp3 player to pc, in car hifi or other 3.5mm socket. Gold plated plugs for supperior quality. Currently viewing: Aux cable 3.5mm mini jack to 3.5mm mini jack stereo 5m gold plat - Audio Cable - Headphone Extension Leads AUX Lead Audio Cables, Audio cables jack cable Leads Cables Phono RCA 3.5mm jack aux headphone.